The importance of accurate accounting information goes well beyond numbers, calculators and balance sheets…it has become the backbone of most successful businesses today. That is why M Group clients have relied on us to handle their critical accounting needs, and to provide them with timely and reliable financial information. At M Group, we don’t just run the numbers; we provide our clients with the information they need to better understand the financial state of their business, which enables them to make better and more informed management decisions. Our clients are small to mid-sized companies and, as they continue to grow, these business owners and entrepreneurs have become even more dependent on usable financial information…data they need to run their day-to-day operations. They realize that financial reporting and analysis is vital to their decision-making, and affects everything from budgets and projections, to staffing decisions and capital investments. Are we profitable? Is it time to expand? Can we afford to hire more people? In most cases they lack the time, resources or expertise to answer these questions, and manage the financial aspects of their business. At M Group, we put information in front of our clients that’s meaningful and easy to use, allowing them to make informed financial decisions. Our accounting department is made up of seasoned veterans, many with experience from Big 4 accounting and consulting firms. They are industry experts, well versed in the rules, regulations and processes of accounting. Just as important is our approach. While most firms focus primarily on historical accounting needs, our strength at M Group is building the relationships with our clients that allows us to fully understand their business and financial needs. Our professionals work hand in hand with you, gathering information and learning your business, so that we can do more than manage your needs of today…we pride ourselves on finding tomorrow’s financial opportunities within your business. 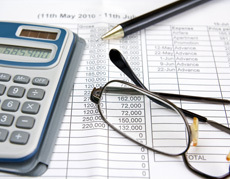 See List of Accounting Services. Owners and managers can’t run a business or make informed decisions without knowing the current state of their finances. Our goal at M Group is to do more than provide accurate financial information. We’re looking at all aspects of our client’s business, to improve profitability and to make sure you don’t have any missed opportunities.